You’ll Be Excited Too, When You Get The Most Thorough Residential Or Commercial Cleaning Ever…Or It’s FREE*! Here’s the bottom line, maybe you have a bad taste in your mouth from a different carpet cleaning company or you’re just plain concerned about what the final result will be with a particular area and you DON’T want to “risk” being obligated to pay for an area/s end result that you just won’t be happy with… that would be a waste of time, energy and money… RIGHT? RIGHT! I feel the same way, so just point out to our cleaning specialist which area/s you’re particularly concerned with at the time your free quote is being figured (before we set up any cleaning equipment). 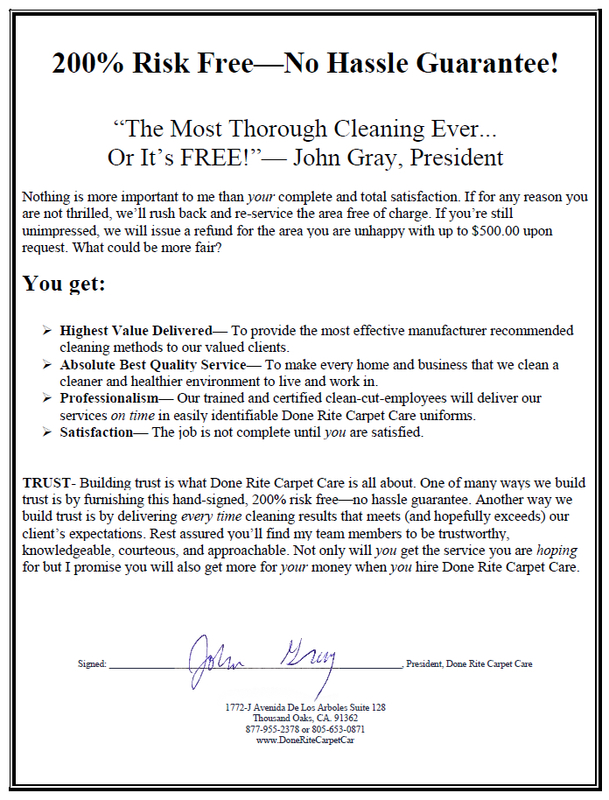 I want you to feel free to ask my cleaning specialist for a no-cost sample! He’ll be happy to do a small portion of the area (conditions permitting) that you are most concerned with. This way you can see the end result of the most troubled area, before you’re obligated to pay for it. If you’re happy with the outcome and you feel the quote is fair, he’ll be prepared to do a great job on the rest of your areas, right then. On the other hand, if you’re not happy with either, the quote or the way the sample turned out– just let him know! No hard feelings (my company wants to meet and hopefully beat your expectations, not dissapoint you! ), he’ll smile, shake your hand and thank you for your time. Thus, I won’t charge you a penny for setting up and performing a test (so long as the test area/s is all you have us clean)! Remember, I only want happy clients. Frankly, there’s no way on earth I could afford to do this– unless I was successful at delivering the most thorough cleaning ever to clients just like you and at keeping customers for life. Which I am. So, take note: There’s no fine print here. No “weasel clauses.” No attorney language. Just my written and hand signed guarantee to you! You’ll Enjoy The “Done Rite” Way! Passion + Professionalism + Integrity + Experience + Wisdom + Execution = MAXIMUM VALUE!!! Not all carpet cleaning companies are created equally! You can expect (not hope for) a great service experience every time and the maximum cleaning result which will last for months (not a couple of weeks). You’ll find my technicians are clean cut, uniformed, thoroughly trained, courteous and eager to help you. 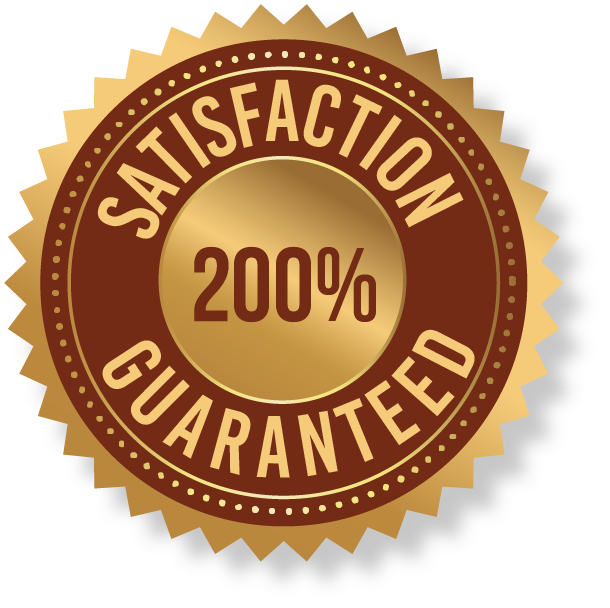 TRUST- When hiring a cleaning company, I know that trust is the determining factor. You trust that they will show up on time, you trust that they will perform their work in a professional manner; you trust that their actions will speak louder than their words and you trust that they will respect you, your property and those that you care for. My company and I would be honored for a chance at earning your trust. Ventura, Oxnard, Camarillo, Newbury Park, Thousand Oaks, Westlake Village, Calabasas, and Surrounding Communities in Ventura County and West Los Angeles County.